This article will guide you through the process of integrating Azure's Text Analytics API with the controls from the Telerik UI for UWP suite. More specifically, we are going to use the RadRadialGauge control within a page which can be used to determine whether the text which is entered is in English or not as well as analyze its sentiment. The more positive the input message is - the closer the result will be to 100 on the Gauge scale. Before you start, you need to create a new Text Analytics API account through the Azure portal. This has been explained in great detail in this article. Once you've created the account, you have to obtain the subscription keys that have been generated for you. You will require them later on in order to make API calls from your application. 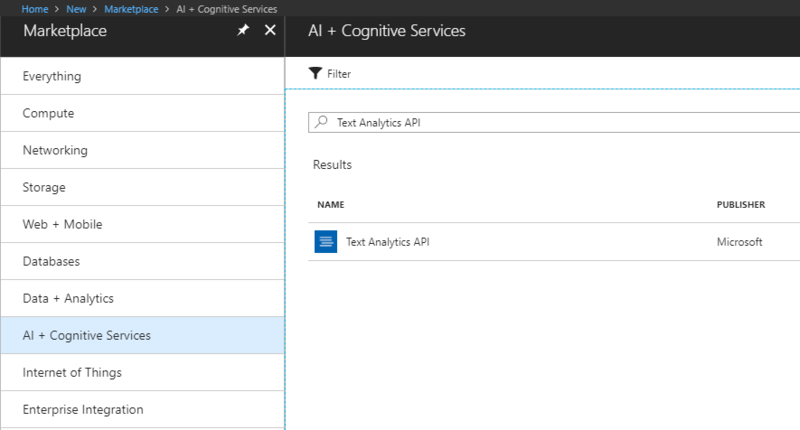 You can now add the Microsoft.Azure.CognitiveServices.Language NuGet package which provides access to the Microsoft Cognitive Services Language APIs.